In the era of selfies and social media, it comes as no surprise that we are more self-conscious than ever about our appearance. If you’re like most people, you’re inundated with Facebook ads and Reddit threads about the easiest way to maintain your youth and vitality without needing to go under the knife. Want to be in on a cosmetic industry secret? Start young. Luckily, the younger you start with your anti-aging routine, the easier it will be to hold off those pesky signs of aging like crow’s feet and frown lines. And by starting early, non-invasive options like Botox are a simple treatment that can not only smooth away these marks of aging but will help prevent new lines from forming. It should come as no surprise that according to the American Board of Cosmetic Surgery and the American Society for Dermatologic Surgery, Botox is the country’s most common cosmetic treatment because of its anti-aging benefits. At Cosmetic Laser Dermatology, our board-certified San Diego dermatologists continue to offer Botox as a gold-standard wrinkle treatment because they understand you want a non-invasive, yet effective treatment to eliminate lines. And, in the right hands, the results are outstanding. A neuromodulator, Botox is most effective for dynamic wrinkles, those caused by repeated facial expressions that disappear when your face is at rest. When injected, Botox targets muscles responsible for the movement and restricts or inhibits the muscle nerve action, resulting in the smoothing out of the overlying skin which reduces the appearance of your line or wrinkle. For the most part, Botox injections are most effective when administered to the upper half/upper third of the face. Also referred to as glabellar lines or the “11’s”, these wrinkles form between the eyebrows as a result of squinting, frowning, or deep thinking. When you’re surprised or puzzled, it’s not uncommon to raise your eyebrows in response. Repeating this action on a frequent basis causes the lines on the forehead to become permanent, which can convey an older-looking appearance. Fine lines form around the outside corners of your eyes when you smile or squint, which over time, can cause crow’s feet to form. As they deepen, they can add years to your appearance. Bunny lines form on the sides and bridge of your nose, and they result from the repeated scrunching of your nose when you smile or laugh. They can cause you to look constantly angry if they become deep because they can make the nostrils appear flared. With just a few minutes of treatment time in the hands of an expert injector, well-placed Botox can eliminate these lines and take years off your appearance or maintain a youthful look. Dysport and Xeomin are alternatives to Botox both derived from the same botulinum toxin, yet there are slight differences. Xeomin is sometimes referred to as “naked Botox” because it only contains the active neurotoxin, so there is less of a chance of an allergic reaction. Xeomin delivers “lighter” effects, which allows for more freedom of expression while still diminishing the appearance of wrinkles and lines. 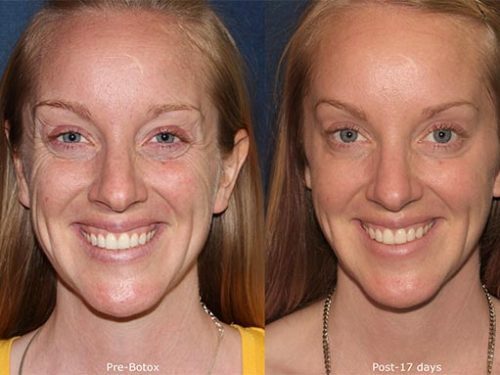 For patients who want faster results, Dysport often works more quickly (usually 2-3 days, about half what it typically takes Botox to start working) and may spread further from the injection site than Botox for a softer appearance. Whether you’re looking for faster results or a decreased chance of a reaction, both can help diminish you fine lines and wrinkles. This trio of neuromodulators are simple yet effective and with repeated use can help with wrinkle prevention as you age. A common misconception is Botox can help improve facial volume. While Botox is great for improving certain lines and wrinkles on the face, it won’t address volume loss that can lead to hollow temples or sagging cheeks. Instead, treatments from the Restylane® or Juvederm® dermal filler lines or other fillers like Belotero® and Radiesse® or biostimulatory agents like Sculptra® are the go-to for enhancing facial volume. Think of it this way: Botox relaxes the muscles that cause a wrinkle while fillers fill in areas that sag, droop or are hollow. What’s great about starting with injectables, is dermal fillers can be used in combination with Botox to create a “liquid facelift” for patients that want a more complete facial rejuvenation treatment. This innovative treatment will eliminate lines and restore volume while infusing a youthful vitality to your appearance without any down-time. At Cosmetic Laser Dermatology, our physicians have more than 100 years of combined experience. Since a precise amount of Botox is required, and since specific muscles must be carefully targeted and injected, trust your Botox injections only to physicians who are highly trained, skilled, and knowledgeable about this wrinkle treatment. 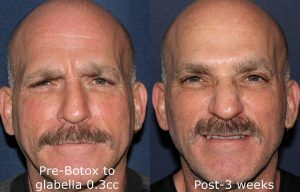 To know more about Botox and how it can help improve your anti-aging regimen, contact the San Diego Botox experts at Cosmetic Laser Dermatology by calling (858) 943-2113.